Sen. Joe Donnelly (D-IN) recently pressed Janet Yellen, Chair of the Federal Reserve, on the offshoring of jobs following the announcement that companies Carrier and UTEC will be moving 2,100 jobs from Indiana to Mexico. The exchange took place during a Senate Banking Committee hearing. 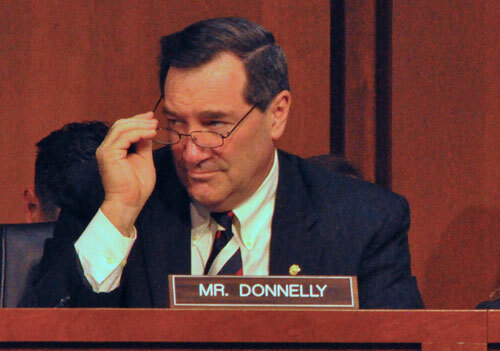 In video footage of the hearing, Donnelly notes that the companies took advantage of the Indiana business climate and the work of the Export-Import Bank to achieve their sales before the outsourcing. He stressed the adverse effect the move will have on the workers’ retirement security as one of the repercussions of the revelation. The Alliance has sent a letter to Sen. Donnelly, thanking him for calling attention to the serious problem that the outsourcing poses on the retirement security of everyone who is affected. The Alliance vowed to use the strength of its more than 4.3 million retirees, older Americans, and community activists, including more than 120,000 members in Indiana. Part of that work will involve addressing the disappearance of defined benefit pension plans in the United States. The trend is widespread, and moving American jobs to Mexico and other countries will only exacerbate the problem. Moves such as these also strengthen the case for expanding our earned Social Security benefits. USW officials have stated that they will be mobilizing their Indiana members around this fight to stop the outsourcing by Carrier. Alliance chapters also plan to join USW in the effort to stop Congressional action on the Trans-Pacific Partnership (TPP) free trade deal, which includes Mexico as one of the participating countries.